This badge was issued to MICHEL LUESCHER on 28 Jun 2012. 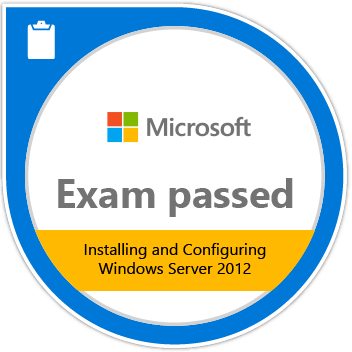 Passing Exam 410: Installing and Configuring Windows Server 2012 validates the skills and knowledge necessary to implement a core Windows Server 2012 infrastructure in an existing enterprise environment. Candidates demonstrate the ability to implement and configure Windows Server 2012 core services, such as Active Directory and the networking services.